As Lions International Club Number 34120 we are proud to have played our part in the great work of the Lions and served our Community for 40 years. Fellowship...good times...meeting new people... building lasting friendships...service to the community... leadership and personal development - just some of the experiences of Lions members. 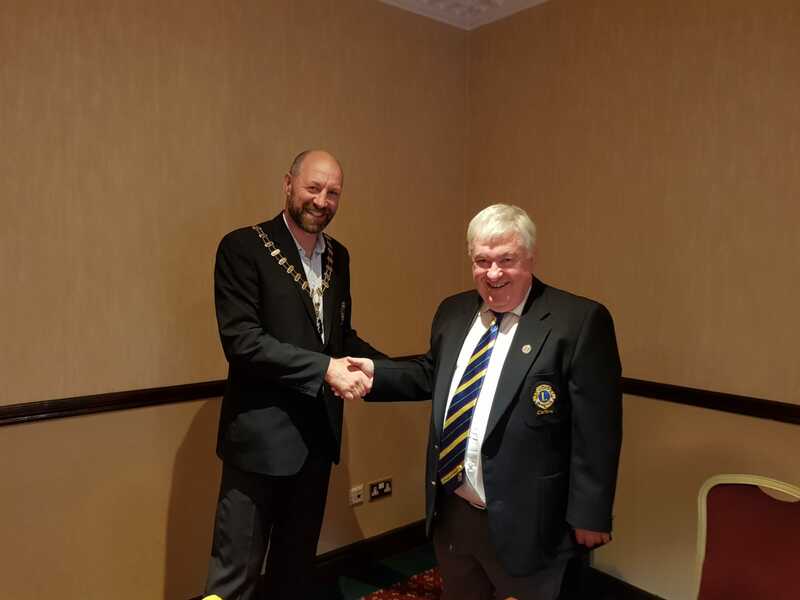 Pictured below is the outgoing President Paddy McDermot congratulating our incoming President for the 2018/19 year Lion Eoin Kehoe. 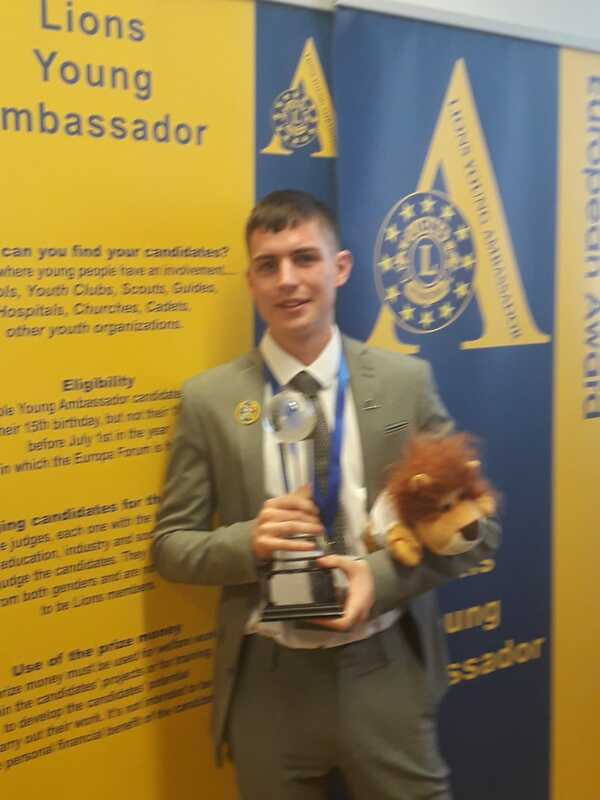 The 2019 Lions Young ambassador winner for 2019 is John Heffernan, who attends St Marys Academy, CBS, Carlow. Vice President Stan McHugh is pictured with Jackie Morley and last years winner Darren McDonald. Darren McDonald from Tullow, Co. Carlow, has been named ‘Lions Club European Yo ung Ambassdor 2018’ at an international competition in Skopje, Macedonia. The 19 year old former student of Tullow Community School, was chosen by an international jury from among contestants from UK, Germany, Macedonia, Belgium, Italy, Ireland and Romania for the ‘Young Ambassador’ title. He receives a bursary of €3,500 which he plans to invest in providing access for teenagers with special needs to ‘Café JamRock at his local Tullow Club. Among the young people who will benefit from the project are students of St. Laserian’s Special School in Carlow, where Darren’s two brothers, who both have Autistic Spectrum Disorder (ASD), have been students. Darren has been a mentor to his brothers from an early age and has raised more than €6,000 to help buy a specially-designed minibus for the students of St. Laserian’s. He has promoted positive mental health awareness through the Youth Club and headed a ‘Generation Connection’ project in which senior citizens and teenagers ‘talk sing and dance together’ with the teenagers sharing their IT know-how while the senior impart knowledge of local history and heritage. Darren has raised funds for HOPE Foundation in Kolkata, India, has won Gaisce and John Paul II awards for volunteering and has recently joined the Irish Army Reserve. He also owns and cares for more than 170 animals. ‘We are tremendously proud of Darren, who is a wonderful ambassador and a role model for young people in Ireland and throughout Europe’. 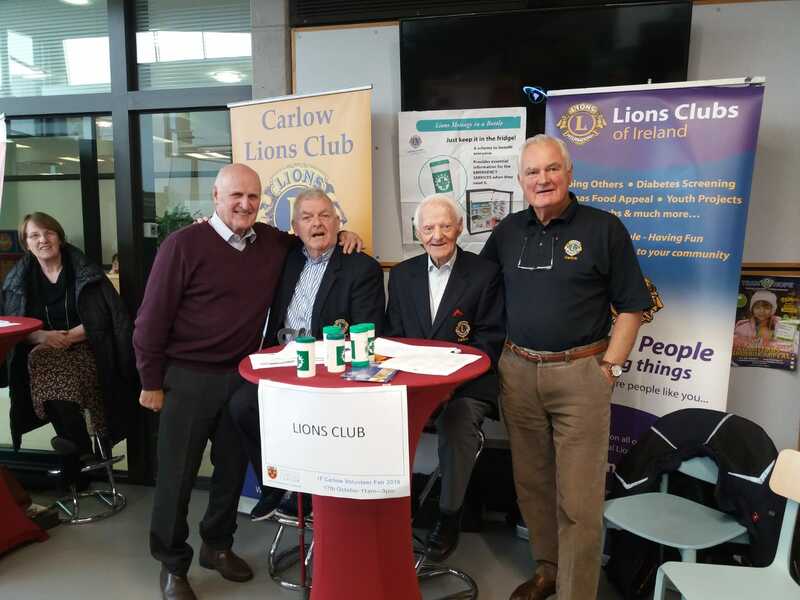 Some of our more "senior" members took part in this year's IT Carlow Volunteer Fair where the Club got an opportunity to publicise the great work our members do. Our Tuesday night Social Dancing continues with great gusto and continues to see great numbers turn out each week. It is a night of great fun and entertainment for all that participate together with being an excellent fundraising vehicle for Lions sponsored charities. The Club is very proud of its success with this project which has been running for over 20 years now! 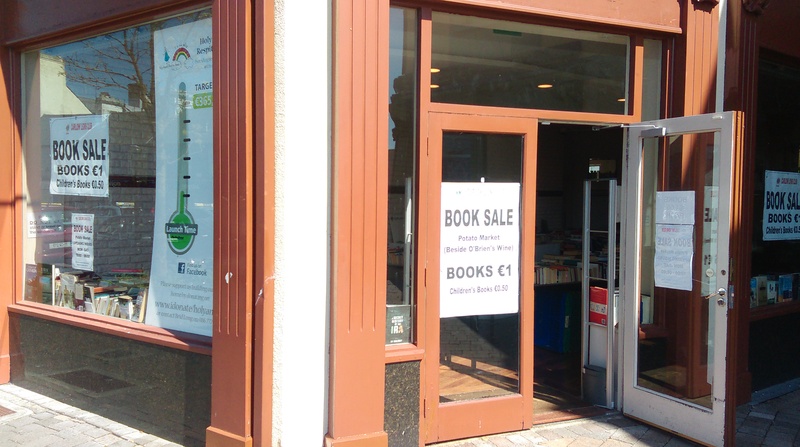 The Carlow Lions Club's Book continues to be as popular as ever. Its a great opportunity to give to charity through purchasing new books, donating some of your unwatned books and its very eco friendly. 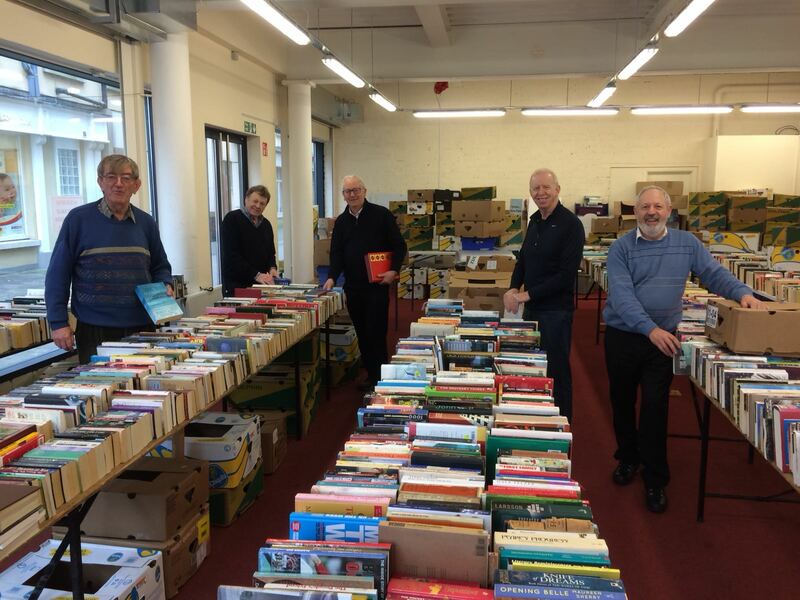 The next book sale will take place in Spring 2019. Listed below are some of the Events held by the Lions club over the previous years. Spain might have their “Bull run” every year but this year you can come to Carlow to “Run with the Lions”. 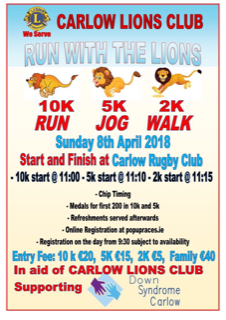 Carlow Lions Club are organising a fundraising “Run/Jog/Walk over 10km/5km/2km course from Carlow Rugby Club on Sunday 8th April 2018 with the 10km run beginning at 11am. Registration is available online at www.popupraces.ie and costs €20 for the 10Km event, €15 for the 5km event and €5 for the 2km event. Registration will be available from 9.30am on the day of the run if places are still available. The 10km and 5km events will be chip timed and the route is along a relatively flat course which is ideal for those trying for new PB’s (Personal best times), “Couch to 5km” , those in preparation for the “Women’s Mini Marathon” or if you just want to get out in the fresh air and help a good cause at the same time. So mark the date in your diary, go along to www.popupraces.ie and register to book your place and start walking/training!! 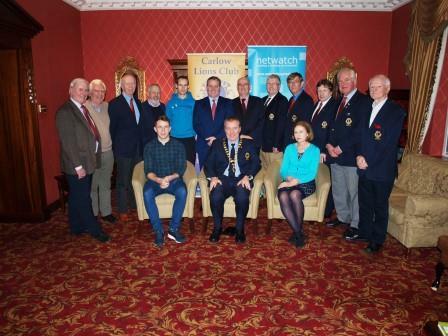 Pictured (Front,left to right) Stephen Attride, Lions Club President Anthony Farrell, Kate Attride, (Back, left to right) Lions members Sean Swan, Adrian Dunlevy, Gerry Redmond, Jackie Morley, Gary Flannery - Adrenaline Running Club (Sponsor), David Walsh & Niall Kelly - Netwatch (Sponsor), Lions Club members Pádraig Ó Ceallaigh, John O Donovan, Frank Mulvey, Bob Jeffers and Joe Costigan. 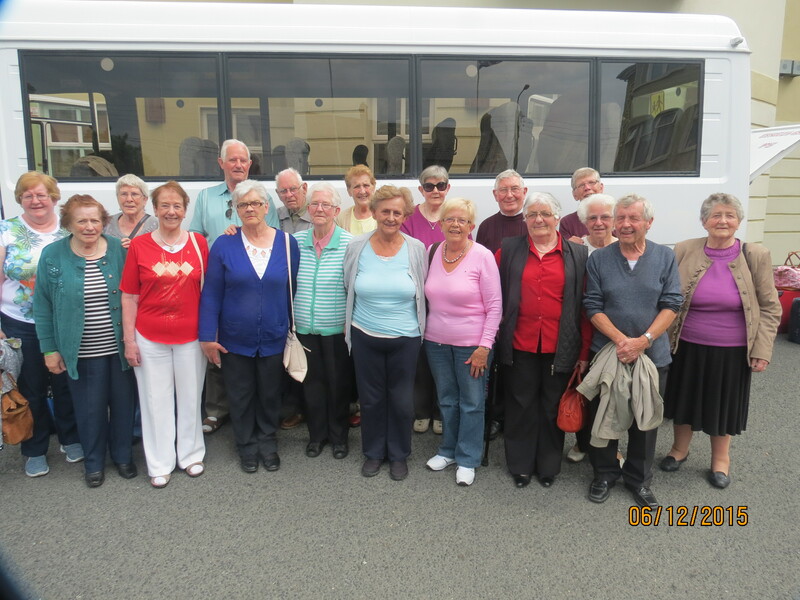 Carlow Lions Club was delighted to sponsor 16 guests on the Annual Lions Holiday to Trabolgan Co Cork. The guests departed on Friday 5 June and returned the following Friday looking rested and relaxed after their action backed week long holiday. 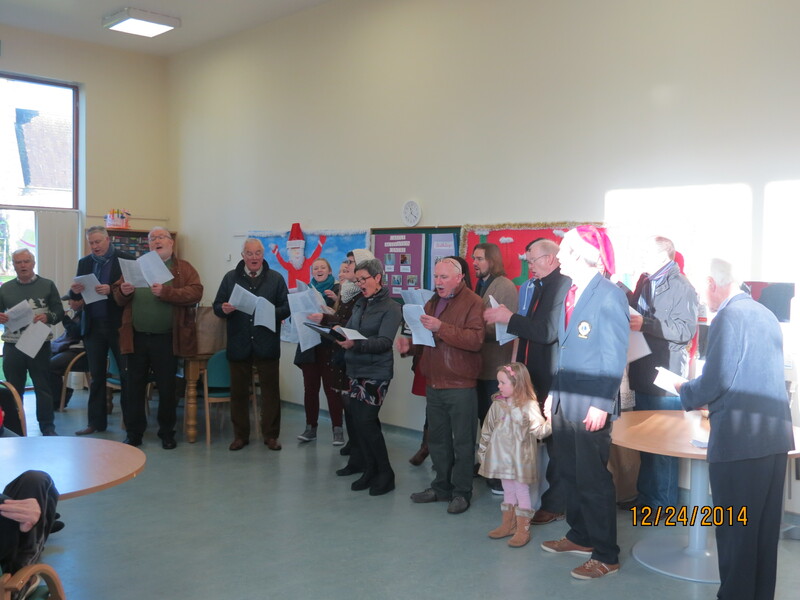 Pictured below are members of Askea Senior Citizens being welcomed home by their Coordinator, Marian Heary. 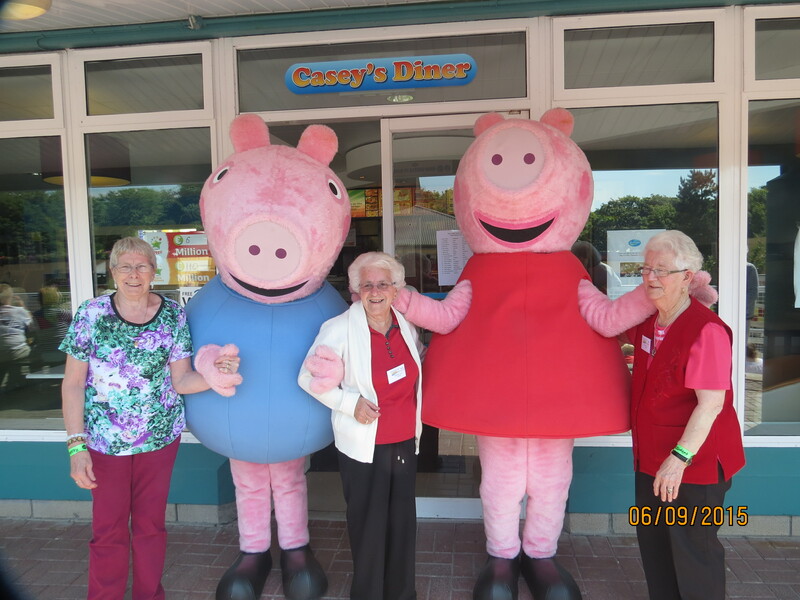 Pictured below are Betty Strong, Sheila Rogers and Eveleen Lawlor joining in the fun at the Lions Holiday Camp in Trabolgan last week. 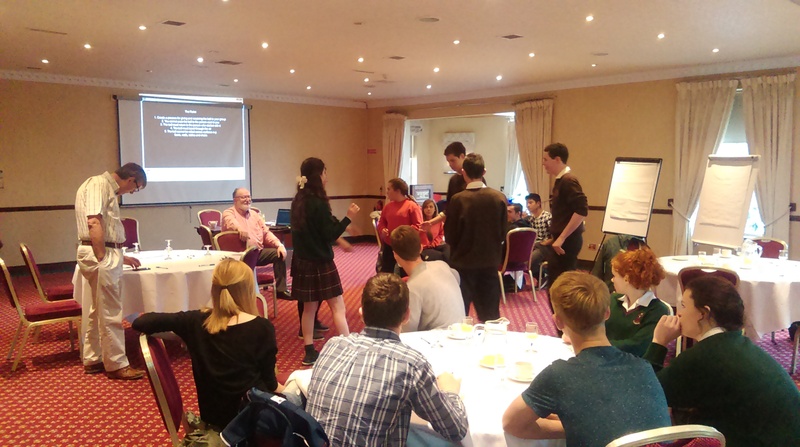 Carlow Lions Club recently ran another very successful Youth Ideation Camp with TY sudents from local secondary schools. The camp was planned as a one-day event and was tailored from a corporate scheme specifically for youth. It is intended to bring out their creative juices whilst also bringing real solutions to real problems. During the Ideation Camp the students had the opportunity to witness life as an adult in the real world where they will be working with others who they probably will not know and who they possibly will not like. They were encouraged to use their individual talents to work as part of a team and when they had completed the development of the team proposal to sell that proposal to others. This is a different method of developing youth and has been exceptionally well received in the past. 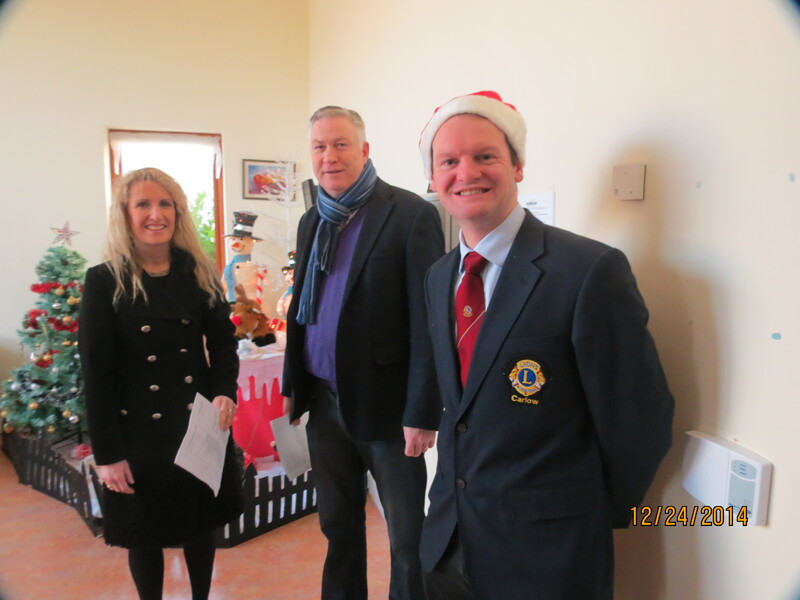 Carlow Lions Club held another very successful annual party for the residents of the local Sacred Heart Hospital. 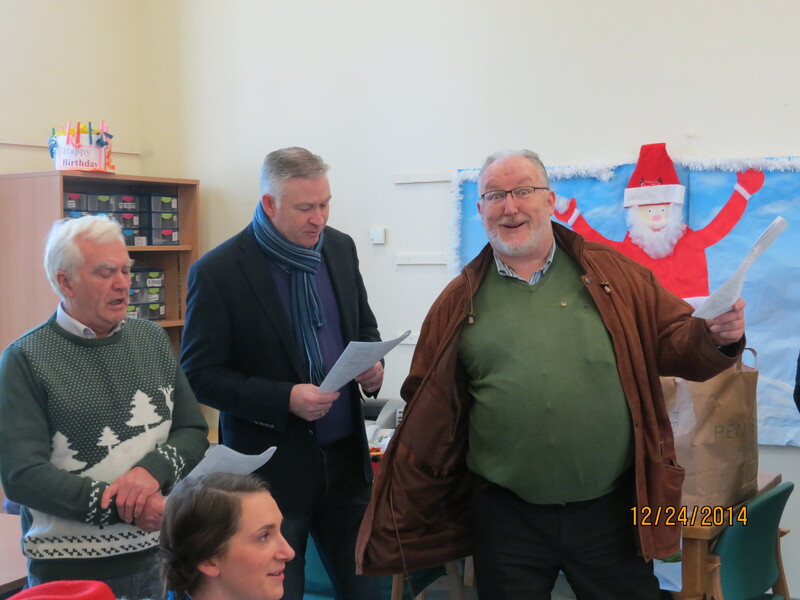 There was singing, dancing and plenty of craic - Santa even dropped off a bottle or two! 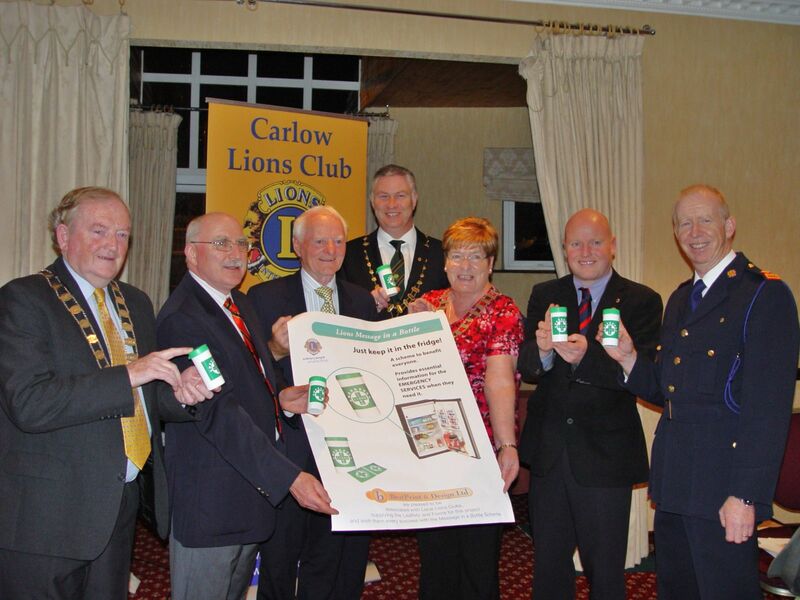 Calow Lions Club will host a group of 16 senior citizens from the Carlow area this Summer. 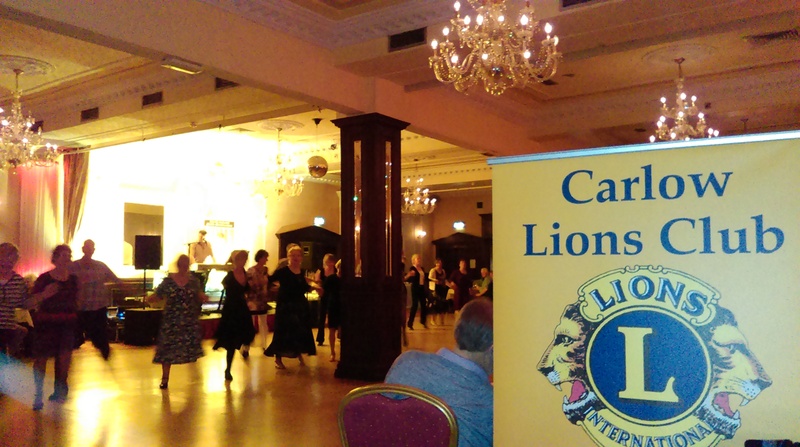 More than 700 senior citizens will be among the guests of Lions Clubs on a week-long Summer holiday in East Cork this year. 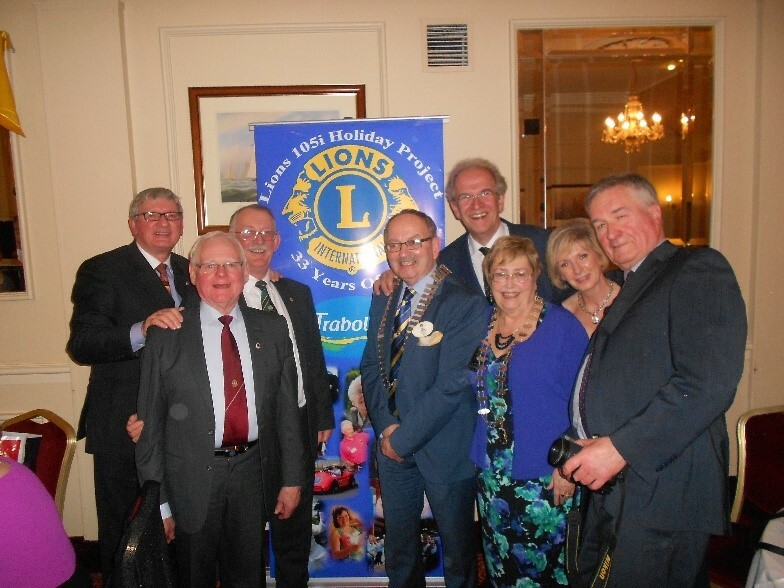 Details of the 35th Annual Lions Holiday, which takes place from 5th to 12th June, were announced to-day at a function in Howth, Co. Dublin which was attended by Pat O’Brien, District Governor of Lions Clubs in Ireland. The holidaymakers, who are drawn from all 32 Counties, are sponsored by local Lions Clubs and are accompanied throughout the week by a team of Lions volunteers as well as specialist medical and support staff. Guests are given an opportunity to avail of health checks during the week and there is a full programme of activities and entertainment. 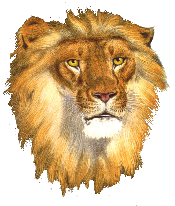 The first Lions Holiday was organized in 1981 by Dublin Lions Club to celebrate the 25th anniversary of the founding of the Club. The venue then was the Mosney Holiday Centre and it grew into an annual event organized by the Lions Clubs of Ireland. Following the closure of Mosney as a holiday centre 2001, Lions moved to Trabolgan Holiday Village in East Cork where the holiday has since been located. Over the years Lions have hosted more than 30,000 guests most of whom would otherwise not enjoy an annual holiday. 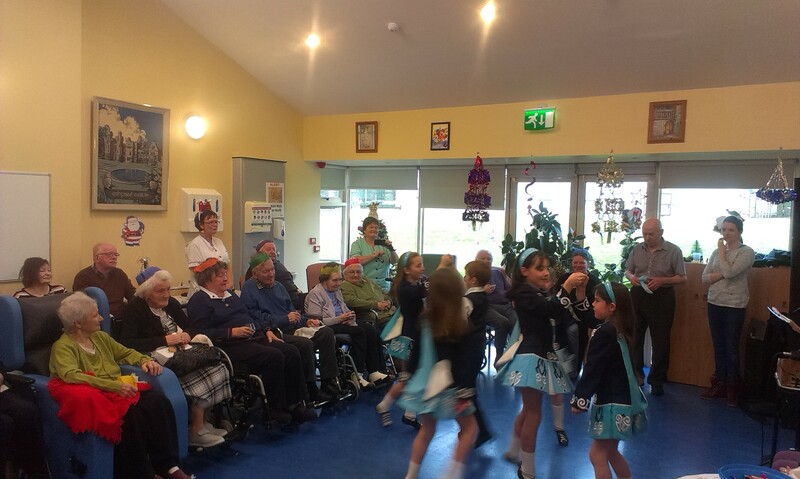 Events scheduled for the 2015 holiday include dancing, competitions, supervised aqua aerobics, a daily walking challenge, bus tours and shows each evening. Minibuses and buggies are on hand to transport those with walking difficulties and medical assistance, including an Order of Malta mobile unit, is on hand 24 hours a day. Says project chairman Donal Browning: ‘One of the great attractions of the annual Lions Holiday is that it allows the guests to network with their peers. They tell us that they really enjoy meeting people of their own age, exchanging anecdotes and their life experiences. In Trabolgan they can be completely themselves in a very safe and cared for environment, where all of their needs are met from medical, to food, to entertainment and activity’. Lions District Governor Pat O’Brien paid tribute to the volunteers from all over the country who make the annual holiday possible. 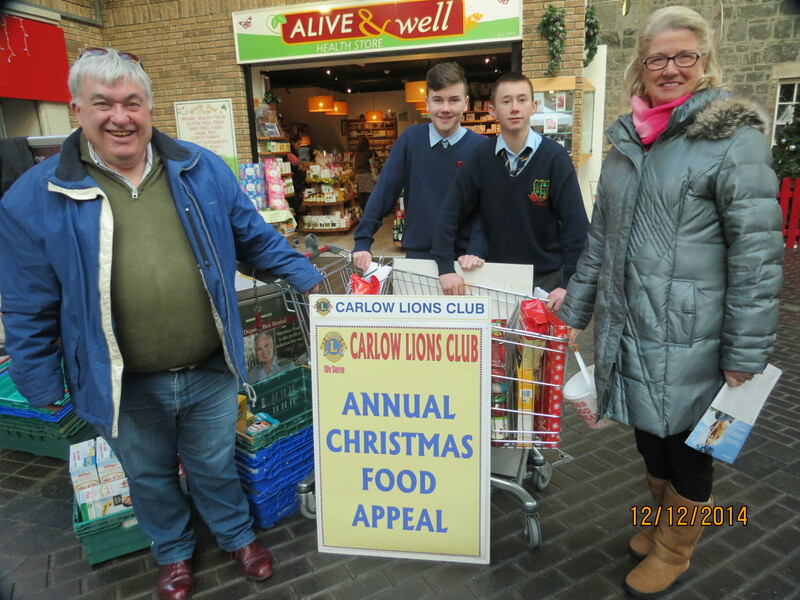 ‘Lions Club members have shown great enthusiasm, over 35 years in organising local groups for the holiday, accompanying guests throughout the week and fundraising to meet the costs involved. We are particularly grateful to the public who support our fund-raising activities’, he said. Pictured are (from left) Lions Clubs Project Leader Donal Browning, Joe Smith, Gerry Langford, District Governor Pat O’Brien, Maureen Cahill, Dr. Richard Harrison Teresa Dineen and Brendan Doyle. 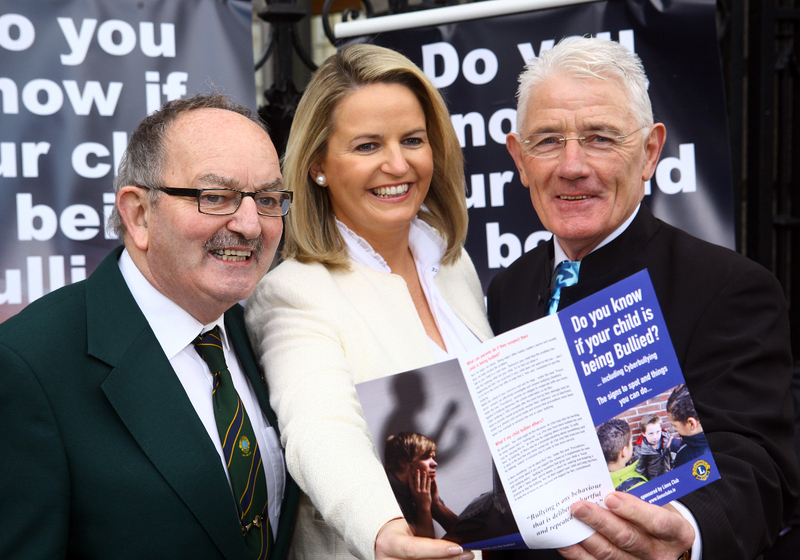 Carlow Lion Club together with Lions nationwide have launched a major national Bullying Information Campaign. Specially commissioned information leaflets on bullying and cyber-bulling will be distributed to all houses with school-going children of vulnerable age by Lions Clubs throughout the country. Lions will work with School Managers and Principals to effectively distribute the leaflets, 42,000 of which have already been distributed by 28 Lions Clubs during the pilot stage of the project. Lions District Governor Pat O’Brien welcomed the campaign. ‘Bullying, and particularly cyber-bullying has become a major issue in our society and many parents are unaware of how to recognise bullying and how to respond. This Lions campaign is designed to provide all parents with the information they need’, he said. Pictured at the launch of the Lions Clubs Anti-Bullying Campaign are (from left) Lions District Governor Pat O’Brien (Cork), Senator Lorraine Higgins and Pat Connolly, Lions Clubs Project Leader (Galway). 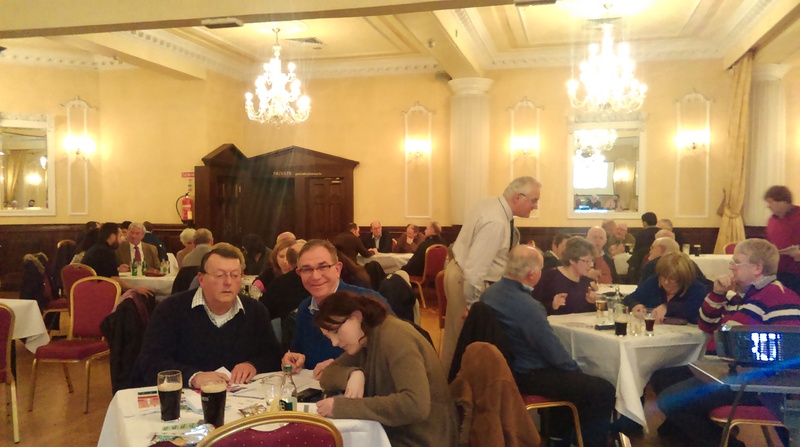 A great turn out on a very cold night for our annual Table Quiz. Well done to Lion Joe Farrell for organising the project and acting as Quiz Master. Christmas would not be the same without our annual Christmas Eve visit to St Dympna's Hospital! Thanks to Lion Costigan and his team. The Club had another successful Food Appeal Collection this Christmas thanks to all our hard working members and the many vounteers that helped us out with the project. Congratulations to Lion O'Donovan for orgainising the project. Lions Clubs throughout Ireland are to join in the battle against juvenile obesity. Liam Lyons, District Governor of the country’s 110 Lions Clubs said on Friday 7 March last that Lions would use social media to encourage young people to attend the Diabetes Screening sessions, which the clubs organise throughout Ireland. ‘We will also encourage parents to bring their teenage sons and daughters to the screenings’, he said. Speaking in advance of Lions Clubs 45th. Annual Convention which takes place this weekend at the Talbot Hotel, Wexford, District Governor Lyons said that obesity among young people has emerged as a major health issue and is closely linked to Lions Diabetes Screening activity. ‘If we are to make a meaningful contribution to preventing the onset of diabetes among the next generation, we must make every effort to encourage young people to avail of Diabetes Screening, by actively marketing the service to them through social media’, he said. Speaking about Lions service to the community, he said that Lions International is a total voluntary organisation in which every cent collected from the public goes directly and entirely to the causes it supports and the projects which it undertakes. ‘In this regard Lions stands as a beacon to the voluntary sector, setting for itself Best Practice standards in everything we do and funding all administration from the personal resources of members. If our Government is looking for a model on which the voluntary sector could also achieve Best Practice- then it need look no further than Lions International’, he said. ‘We are truly grateful that more of us are living longer, but we are also a population with incremental health needs with more and more people depending on the services of carers for their quality of life. In the true spirit of volunteerism, an estimated 187,000 family members act as voluntary carers in Ireland. These family carers are the ‘unsung heroes’ of our community, providing high levels of care in the home to loved ones who are highly dependent, including frail older people, people with severe disabilities or chronic illness, the terminally ill and children with special needs. Recent years have brought many additional difficulties to family carers. They have been hit by numerous cuts to their income and services and yet they continue to provide over 3.5 million hours of care per week in their homes, saving the state an estimated € 4 billion each year. As such, they are the backbone of our health services and must be recognised for their tremendous contribution and roles within our society. I believe that in the future more of our work will be devoted to serving our senior citizens and those who care for them. We have made an excellent beginning through our Carers Weekends and I hope that we can build on this initiative in the future. The Government’s National Carers Strategy published in 2012, which promises to value, recognise and empower family is a worthwhile initiative, but it will only produce real benefits when it is fully implemented- and we appear to be some distance from that goal. Meanwhile we in Lions must redouble our efforts to support Voluntary Carers throughout the island of Ireland’. Governor Lyons said that while our Senior Citizens are of immediate concern, the future of this country lies with our young people. ‘Growing up in Ireland to-day is a generation which is better nourished, better educated and more cherished than any generation in our long history. These are the young people who will shape the Ireland of the coming decades. They are possessed with boundless potential and creativity, but these gifts must be nurtured and developed. Lions are providing such encouragement and incentive through the Ideation Camps which we organise in conjunction with Intel. ‘While it would be wonderful to describe Young Ireland as a happy, contented , healthy generation, we know only too well, this is not a reality. Far too many young people are lost to suicide and there is little sign of a lessening of this profound on-going tragedy. Lions are working to save young lives from suicide through our information project and by working closely with many organisations. We need to intensify this work and to involve every Lions Club in our District. Saving even one young life would make all the work worthwhile. Our Lions Suicide Prevention Programme has the potential to save many’. Past President of Carlow Lions Club, Pádraig Ó Ceallaigh and the Project Leader for the Tuesday night dance, Michael Walsh, presenting a cheque recently to Bagenalstown Resource Centre. Also in the picture is former dance master Lion Mulvey. Past President of Carlow Lions Club, Pádraig Ó Ceallaigh and the Project Leader for the Tuesday night dance, Michael Walsh, presenting a cheque recently to Cormac Lally of Midlands Simon Community. Also in the picture are Lions Mulvey and Dunleavy. The project is aimed at older people living alone and those who are housebound or debilitated through ill health. Any person who participates is given a customised plastic bottle, complete with personal information form and three self adhesive Emergency Labels which indicate that the householder is participating in the project. Participants are requested to record their basic personal and medical details on the form, put the completed form into the bottle, place the bottle on a fridge shelf, and attach the adhesive stickers one to the fridge door and one each to the inside of the front and back doors. If necessary, the information can then be quickly accessed by the emergency services and the time saved in accessing this vital information could make the difference between life and death. 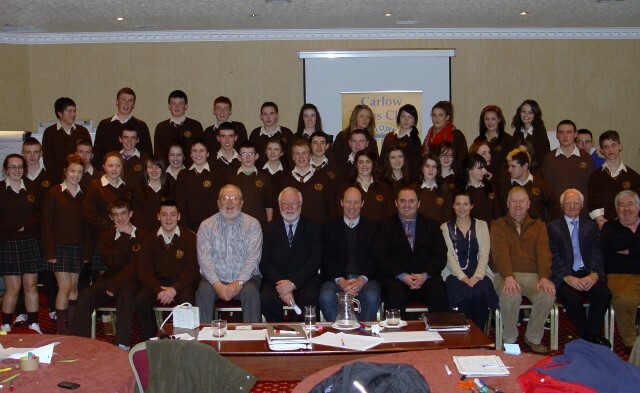 Gaelcolaiste Transition Year Students who attended the Carlow Lions Club, Intel Youth Enterprise Ideation Camp, which was held over two days , 22nd and 23rd Jan, at the Seven Oaks Hotel Carlow. The workshop focussed on the development of 21st Century skills such as Problem Solving, Decision Making, Team Building, Communications and Entrepreneurship. The workshop was addressed at the outset by Jim Greene CEO of Keenans, Borris who uses all of these skills to run a very successful business worldwide. The three judges who's task it was to select the winning team are seated in the front row; - Edward Burke retired principal of Muine Bheag Vocational School, Eoin Kehoe President of County Carlow Chamber and Kieran Commerford CEO of Carlow County Enterprise Board. 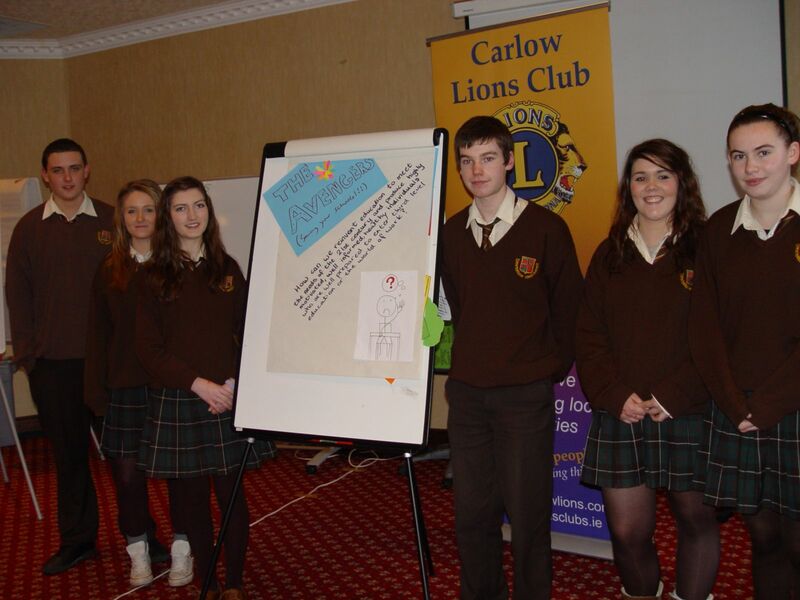 The Workshop was presented by members of Carlow Lions Club and facilitated by teachers from the Gaelcolaiste. "The winning team were the Avergers who's response to the challenge; How do we reinvent education to meet the needs of the 21st century-- By rewarding effort and achievement and thus motivating the students to meet the challenge------. The team members Daryl O'Briain, Katie Nic Giolla Phadraig, Aisling Ni Dhalaig, Oisin O Conchubhair, Casey Nic Oscar agus Nadia Blanchfield, will now represtent Carlow in the National Finals which will be held at Intel in Leixslip. This programme is sponsored by Intel.